Airport taxi service is one of the fast-growing, profitable sectors of transportation at this moment, and rightly so. Rushing to the airport on time while navigating through heavy traffic is stressful. And at the same time, travelling home or to the hotel after a long flight is an arduous task. Similar to on-demand taxi booking, airport taxi service provides reliability, comfort and convenience to its passengers. An Uber-like taxi dispatch system is the right solution your business needs to smoothly handle your daily trip requests and maintain quality consistency. With an Uber clone taxi app, here’s what you can offer your passengers. An Uber-like taxi app allows passengers to request a ride on-the-go. Within just a few taps, the passenger can book a ride and have a driver pick them from their doorstep or airport. From tracking the driver, knowing the ride fare in advance to choosing from multiple payment modes, your passengers can avail these features for improved ride experience. To avoid any last-minute hiccups and unnecessary waiting, passengers can also schedule their taxi ride in advance or while boarding the flight. This way, there’s a ride waiting for them once they land. The biggest benefit a passenger can take away from an on-demand taxi service is the affordability. To stay ahead of the competition, airport taxi services maintain competitive prices. Besides, the passengers needn’t pay exorbitant airport parking fees. Passengers gain all these cost advantages without any compromise to comfort. By offering multiple vehicle options, passengers can pick their own ride choice and have a comfortable experience. As for your airport taxi business, an Uber-like taxi dispatch system0 brings all your complex processes together for better results. Handling trip requests on a daily basis and from multiple geographical locations can be a complete mess. By automating your dispatch process, your taxi business has a better chance of managing the operations. With a unified platform, your taxi business can connect with customers, drivers and dispatchers, all from a single place. This way, you can run your business smoothly. An Uber-like application gives you a comprehensive look at your business operations. Right from the number of trips taken on a daily basis, total expenditure, driver earnings to analysing reports and heat maps, your business has the right set of tools to reduce expenses, improve productivity and increase your earnings. 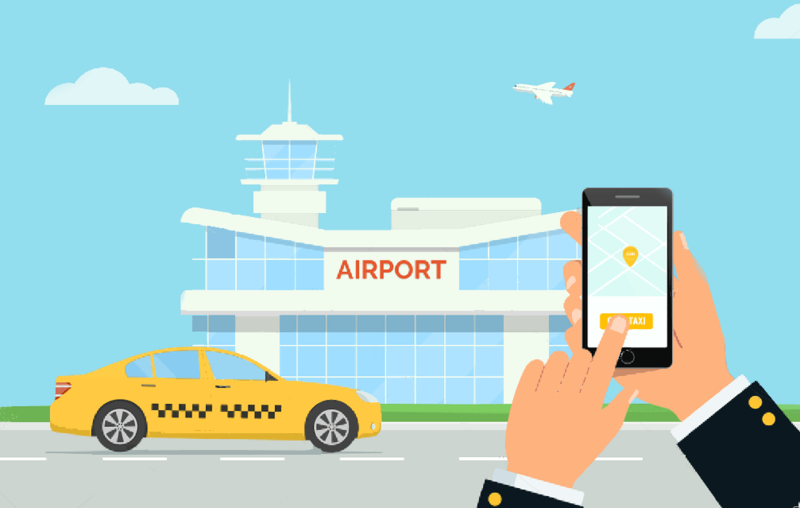 The best way to survive the competitive turf of airport taxi service is to choose a reliable Uber-like taxi application and dispatch system for your business.